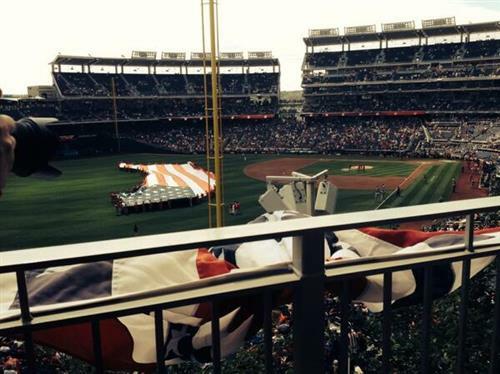 Some of the events and celebrations in the D.C. area for the Fourth of July 2014. The Independence Day celebration on the west lawn of the Capitol will once again feature performances from well-known musical artists as well as a large fireworks display. 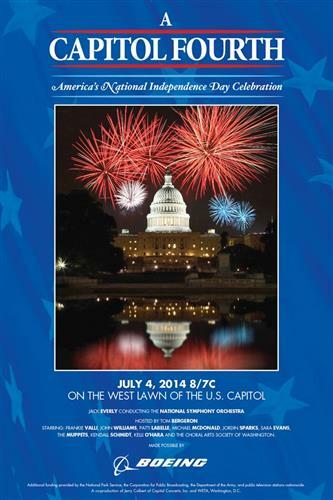 This year’s "A Capitol Fourth" is from 8 p.m. to 9:30 p.m. and will be broadcast on PBS. It will be hosted by Tom Bergeron and feature National Symphony Orchestra under the direction of conductor Jack Everly. The U.S. Army Band's "Pershing's Own"
The concert is free and open to the public. No tickets are necessary. The general admission gates for the West Lawn open at 3 p.m.
Checkpoints will be set up, and all bags and parcels will be checked. Guests will be required to enter through a metal detector. For more information about entrances and parking, visit the U.S. Capitol Police website. Visitors can bring food, but alcohol is prohibited. NEW YORK (AP) -- The movement that's giving away cash around the world is giving away ice cream to celebrate America's birthday. Hidden Cash founder Jason Buzi says they've partnered with Ben & Jerry's to give out free scoops Friday in New York, Washington, D.C. and San Francisco. 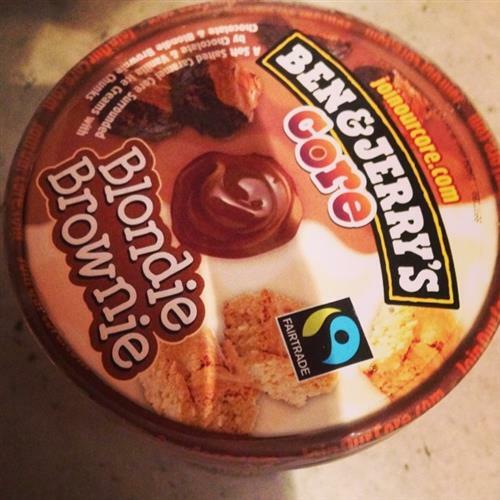 The event runs from 1 p.m. to 2 p.m. at Ben & Jerry's locations in New York's Times Square, Georgetown in Washington, D.C. and Haight-Ashbury in San Francisco. Buzi says they decided giving away ice cream would be a "kid friendly" way to mark the Fourth of July. Arizona's largest city has gone four months without any measurable rain, and neighboring New Mexico is in the midst of four years of severe drought. 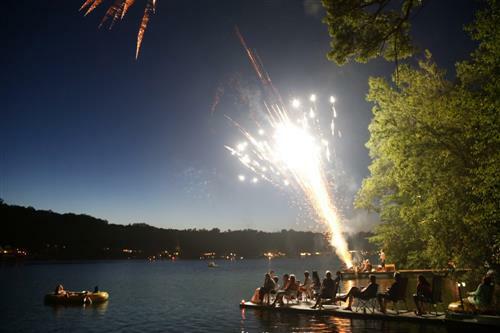 But you'll still see and hear fireworks sparkle and pop during the days around July 4, despite the dangerously high threat of wildfires. 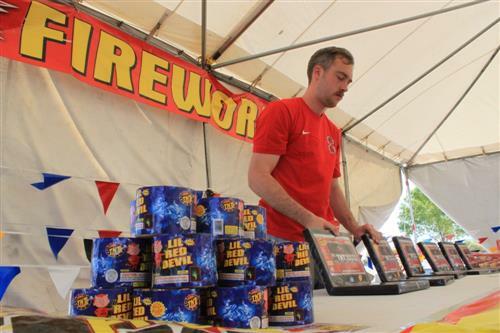 While some places in the West ban fireworks altogether, or greatly limit what you can light off when conditions are ripe for fire, other states are going in the opposite direction. Arizona actually loosened its restrictions this year and is now allowing residents of the two most populated cities to set off fireworks in the days around Independence Day, and an effort by the New Mexico governor to impose tougher rules during dry times has repeatedly fallen on deaf ears in the Legislature. 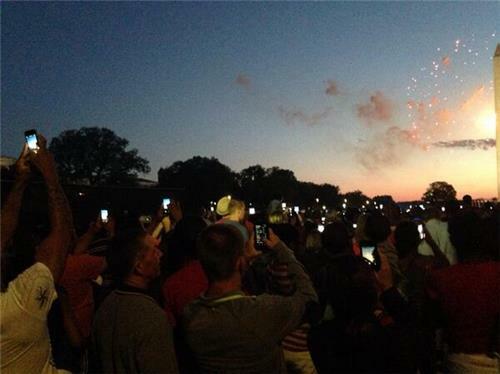 Weather should be picture perfect for the fireworks on the National Mall, WTOP’s Kathy Stewart reports. It's a tradition as American as apple pie. But once the competitors taking part are done, they won't have any room left for dessert. The 99th annual Nathan's Famous Fourth of July International Hot Dog Eating Contest happens Friday in Brooklyn. Perhaps the oddest juxtaposition involving the nationally televised competitive eating event is that the men's competition will air at 12:30 p.m. on ESPN 2, then be rebroadcast on ESPN at 2 p.m., immediately following, of all things, Wimbledon. The show of American excess and intestinal fortitude has become synonymous with Independence Day as its popularity had continued to grow over the years. 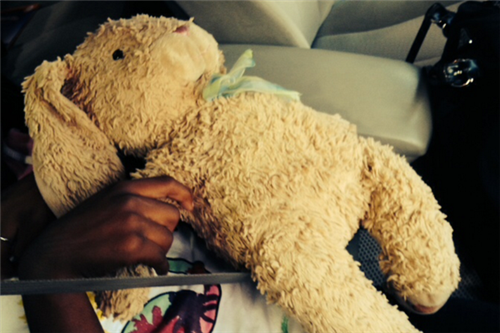 Read more about it on WTOP.com. It's a big July 4th for the birth place of America's national anthem, and there's plenty to do in and around Baltimore to celebrate. Read the full rundown of what to do in Baltimore on WTOP.com. 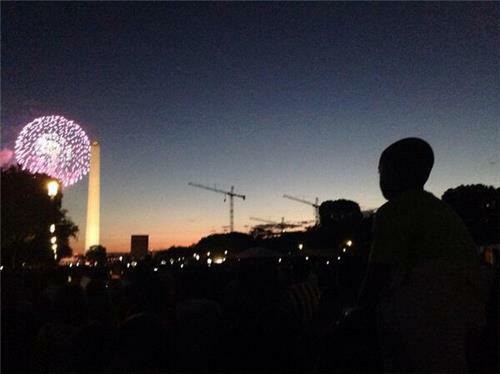 Park Police offer public alerts for July 4 in D.C. Visitors to the National Mall for the Independence Day celebration can sign up for event information and emergency notifications from the National Park Service. The U.S. Park Police department says it will be using the Nixle Community Information Service to deliver public safety information online, email and through cellphones. Metro is running on a Saturday schedule for the Fourth of July holiday, but will add trains in the afternoon and evening to help accommodate crowds going to see the fireworks. Metro says that trains on Friday will run on a Saturday schedule until about 2 p.m. and will then gradually ramp up to near rush hour service levels before and after the fireworks, which are scheduled to start at 9:10 p.m. Parking will be free at all metro-operated facilities and off-peak fares will be in effect all day. The movement that's giving away cash around the world is giving away ice cream to celebrate America's birthday. The United States marks 238 years as an independent nation as it celebrates the Fourth of July with fireworks, food and music. The Fourth of July commemorates the adoption of the Declaration of Independence on July 4, 1776 by the Second Continental Congress of the 13 colonies, meeting in Philadelphia. The tradition of celebrating July 4 with fireworks, parades and speeches spread from Philadelphia to other cities and towns across the new nation. 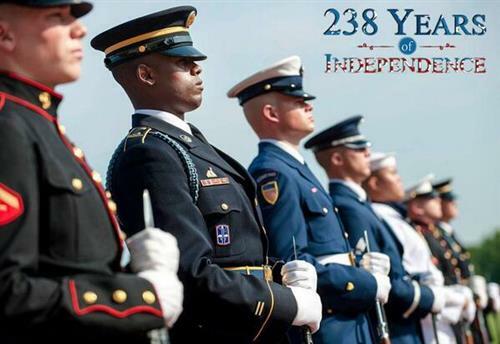 Congress established Independence Day as a holiday in 1870. The Macy's Fourth of July fireworks show in New York City is the nation's largest. Macy's says more than 1,600 shells will be launched per minute during the 25-minute display over the East River. Other major fireworks shows include those in Chicago on Lake Michigan and in San Francisco over the San Francisco Bay. Hitting the road this holiday weekend? The CDC has some tips to stay awake and arrive safely. Heading down to the National Mall for the Fourth of July? Between the traffic, the parking and the crowds, it's going to be an experience. WTOP Traffic Reporter Dave Dildine says caution will be key. WASHINGTON -- Most D.C.-area residents will get a day off on the Fourth of July. But it can be one of the busiest days of the year for doctors and nurses at local burn units and ERs. Dr. James Jeng says he has seen it all. 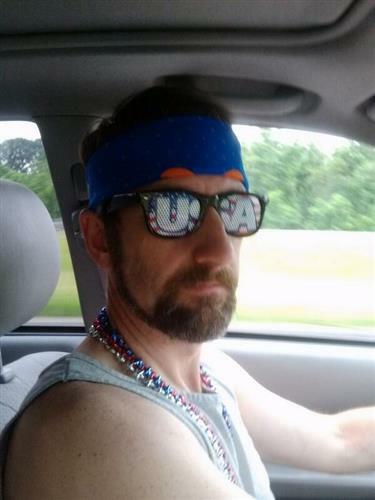 The associate director of the burn center at MedStar Washington Hospital Center admits that the hospital "get[s] a lot of stuff during the Fourth of July." Even professionals who set off fireworks for a living can sustain major injuries, including the loss of limbs and large surface burns. Jeng said that should be a lesson to all those novices who see a fireworks stand along the road and say, "Why not?" "You can really get hurt with some of these things that are meant for home use," he warns. Jeng says that even includes sparklers because "they are probably burning magnesium -- very, very hot." He says those most likely to get hurt are "teenagers and young adults that haven't grown up yet." And while he says he understands the allure of loud noises and sparkly things on the holiday, this "is potentially dangerous stuff." Jeng says anything worse than a kitchen burn probably should warrant a trip to the ER. He says look for any breakage of the skin, and act quickly if the eyes are involved or there is pain that will not ease or go away. He says pain is always a good indicator of trouble, adding, "it's your body's built in warning system saying, 'hey, I need help.'" Arthur strengthens to a hurricane in the Atlantic, threatening to disrupt Fourth of July celebrations. WTOP has a blog detailing how the hurricane could disrupt your celebrations. 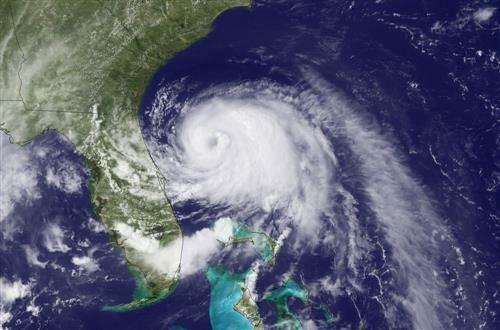 Read more about Hurricane Arthur. Advice for revelers: Stay hydrated, take public transportation, check out NPS for more tips. Parking restrictions begin at 5:30 a.m. and last all day and night, says D.C. Police Chief Cathy Lanier. Don't stop on the bridges this July 4th during the fireworks along the National Mall. The bridges will be closed to traffic once the show begins, says D.C. Police Chief Cathy Lanier. Highways will be packed once again this July Fourth weekend, with 41 million Americans expected to travel at least 50 miles or more. That's up about 2 percent from the 40.3 million who traveled during last year's Independence Day weekend, according to auto club AAA. 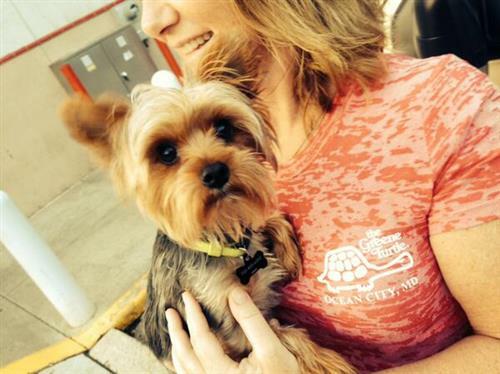 The calendar is helping to push up the number of vacationers. The holiday falls on a Friday this year, making it an easy three-day weekend for many travelers. Get more information about holiday travel on WTOP.com. 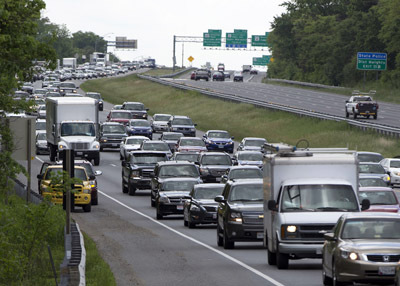 Temporary highway lane closures will be suspended across Virginia to help Independence Day travelers reach their holiday destinations. The Virginia Department of Transportation says lane closures in temporary work zones will be lifted from noon Thursday until noon Monday. Read more about VDOT's plan on WTOP.com. Find out what other cities are competing with the nation's capitol. Read the full story here.